Home › Buffalo Vol. 4, Shirt 19: "Buffalo Comic"
Buffalo Vol. 4, Shirt 19: "Buffalo Comic"
It's no mirage! It won't take a detective to realize this dark horse of a design will cause all your friends to marvel at the artwork. $8 from every shirt sold will be donated to Thomas Bala. This product is not directly affiliated with, endorsed, or sponsored by the Buffalo Bills, Buffalo Sabres, or Pegula Sports and Entertainment, LLC. Thomas Bala, aka "Sir Thomas The Mighty," (he received this nickname on the day he was born) is a 3 year old boy who was diagnosed in May 2016 with Cortical Dysplasia (a congenital brain birth defect), which causes Focal Epilepsy. He was having up to 25 seizures a day. Brain surgery was recommended but has been put on hold while his seizures are currently controlled, and he battles Very Severe Neutropenia (immuno-compromised) and selective antibody deficiency (weak responder to vaccines). Thomas gets sick often. Every fever means a trip to the Emergency room and possible admission to the hospital, and missed work for his mom and dad. 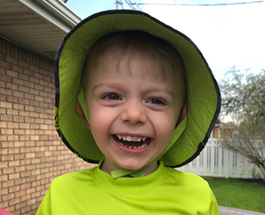 For the past year, Thomas has been continuously seeing multiple specialists (Neurology, Neurosurgery, Hematology, Immunology, and Genetics) in three cities, Buffalo, NY, Rochester, NY, and Boston, MA, where he continues to undergo multiple tests, procedures, and consultations. Please consider a shirt purchase or donation to his online fundraiser. Lucky Prak is a Buffalo-based artist with a BFA in Animation from Daemen College. He is a graphic designer and videographer during the day and a freelance illustrator in his free time working in both digital and traditional media. 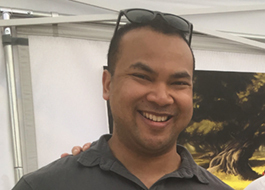 He has done advertising work for local and national firms, tables artwork at local comic book conventions, and is perpetually working on a comic book with no announced or planned announced release date. Lucky is a fan of all things comic book or sci fi related and can often be found at various comic books shops and bookstores in the Buffalo area. Lucky is somewhere between an avid and die hard Buffalo Bills fan as he never misses watching a game but he hasn't gone through a flaming table outside of New Era Field (yet). His favorite Buffalo Bills player of all time is Fred Jackson. Lucky's work can be found at www.luckyprak.com and you can follow @luckyprak on Instagram. Gameday Hospitality Makes Your Gameday or Raceday Easier! Offering Tailgating Hospitality Packages, Pre-Game Parties and Events, After Event Parties, a Ticket Marketplace, Travel Packages, Party Gear Rentals, and Much More for Fans, Groups, Corporate Outings, and Much More. Gameday Hospitality is launching in the Buffalo Market this year with Buffalo Pro Football, Concert, and Outdoor Hockey Tailgating and Events as well as Party and Event Rentals. For the next two weeks, $5 from any individual Tailgate ticket and $50 from any season Tailgate ticket for the Gameday Hospitality Buffalo Red Zone Tailgate will be donated to Thomas! Just use code 26SHIRTS at the Gameday Hospitality website.